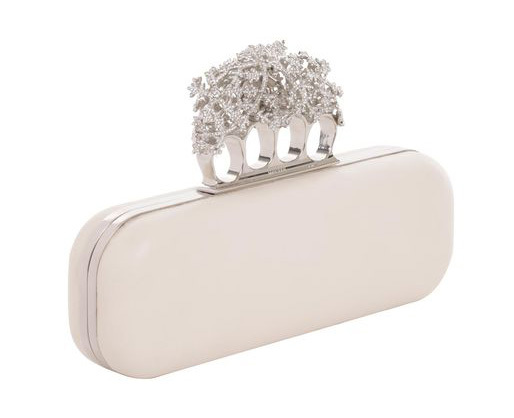 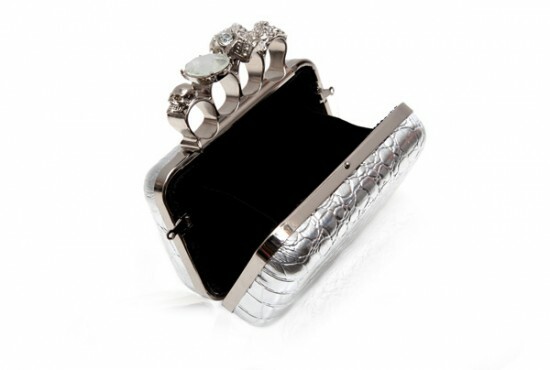 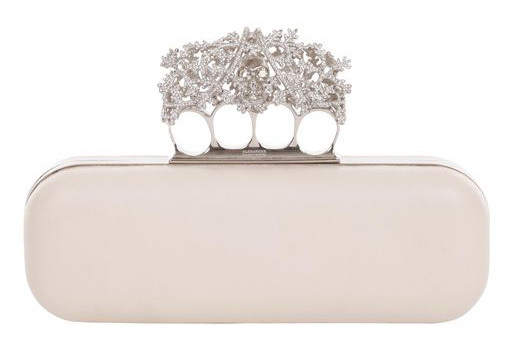 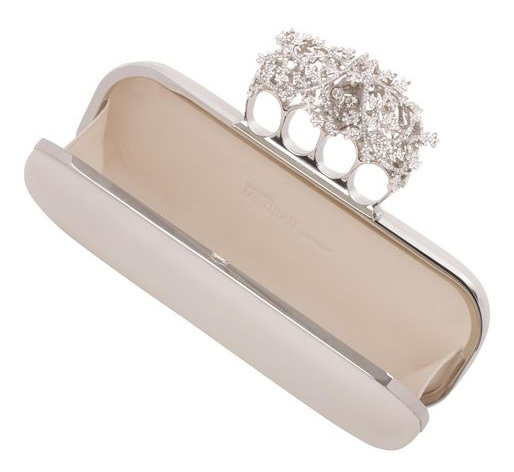 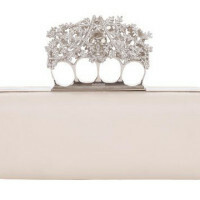 The Snowflake Knucklebox Clutch by Alexander McQueen. 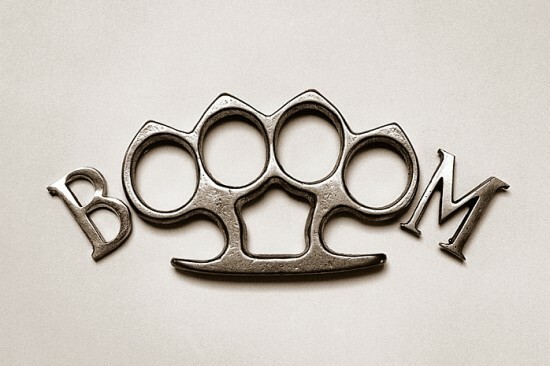 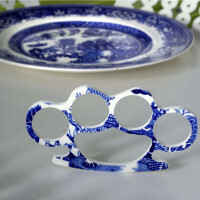 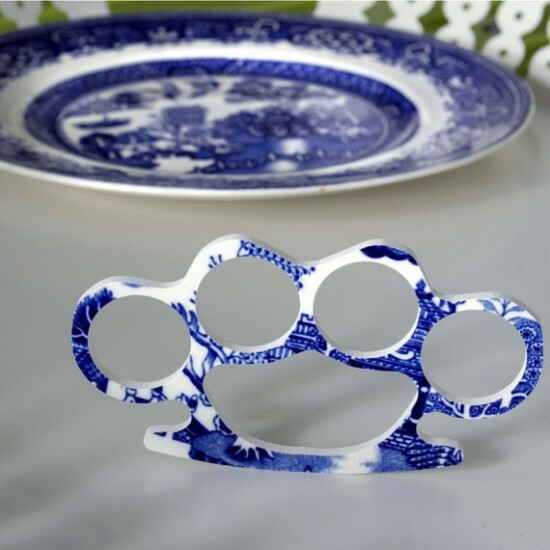 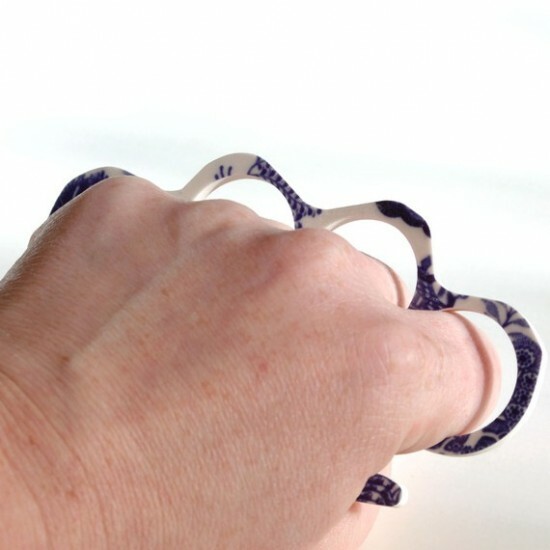 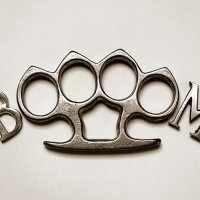 China Knuckles are for the girl who wants to be chic and eco-friendly while still being conscious of self defense. 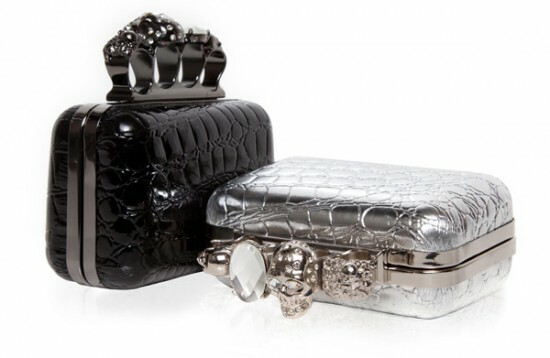 The chic look of croc gets a dose of edge in these clutches. 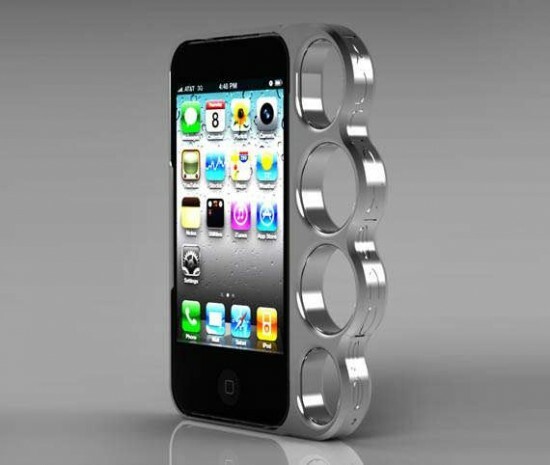 Featuring room for your smartphone and other essentials, the skull knuckle rings make it convenient to carry. 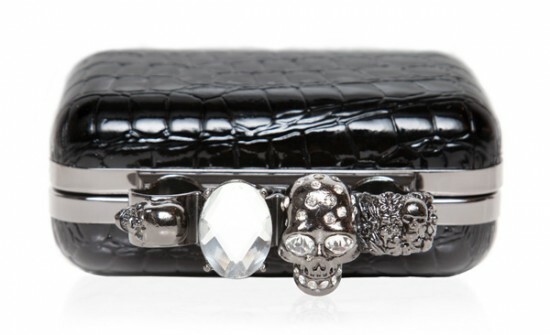 The Faux Croc Skull Knuckle Clutch is available for $115.00 at AHAlife. 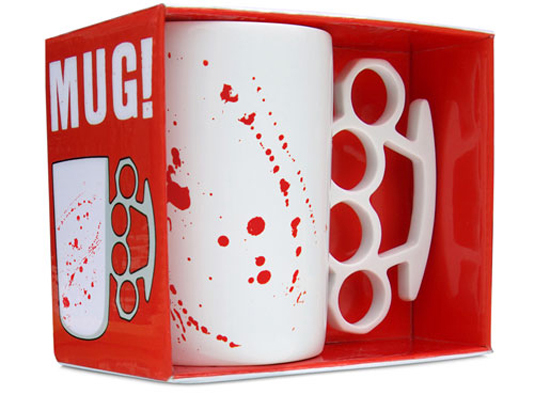 Don’t be a MUG! 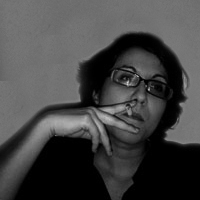 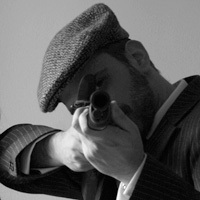 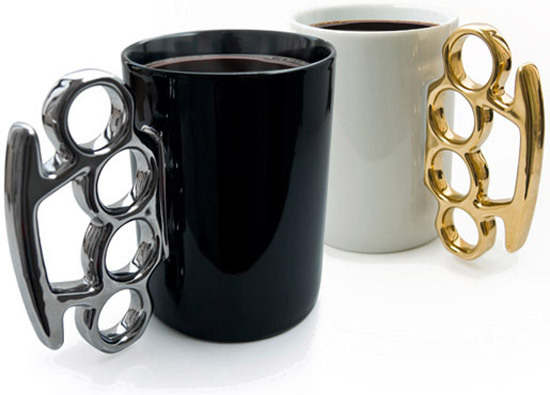 Look like the boss when you’re drinkin’ your brew! 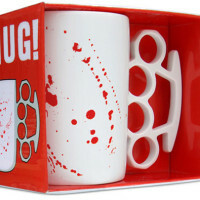 These porcelain mugs are available at Thabto. 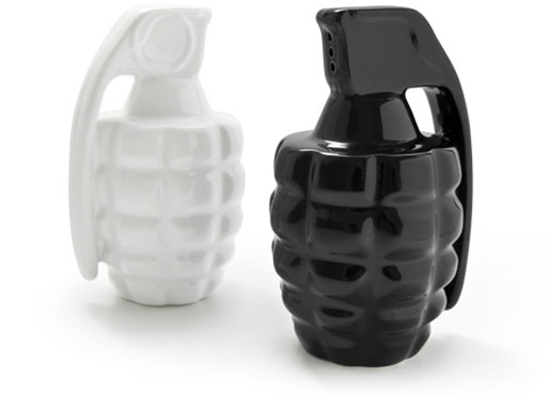 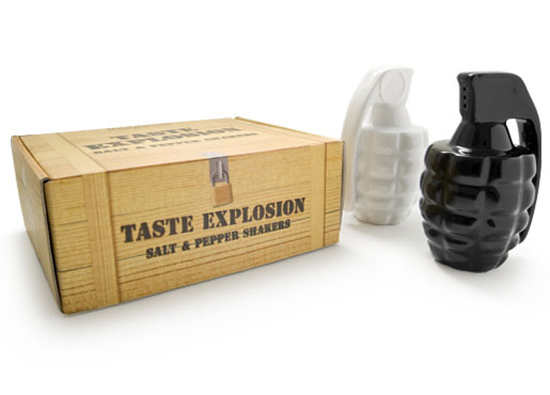 Don’t miss Taste Explosion, the grenade salt & pepper shakers.